In a battle of Turkish Airlines EuroLeague powerhouses with playoffs-like intensity, Fenerbahce BEKO Istanbul registered its ninth consecutive victory by edging CSKA Moscow 79-75 at home on Tuesday. Coming back from 15 points down in the first half, Fenerbahce retained its first-place standing by lifting its record to 12-1, while CSKA dropped to 10-3. 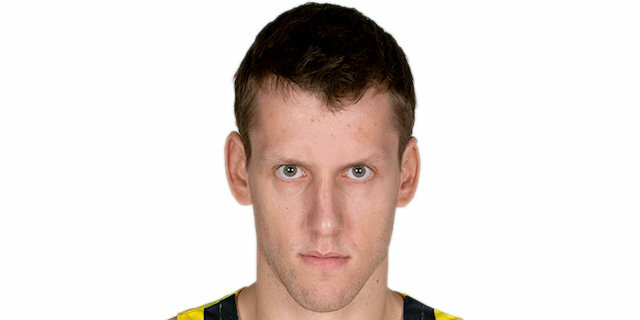 Jan Vesely led the winners with 19 points and 10 rebounds. 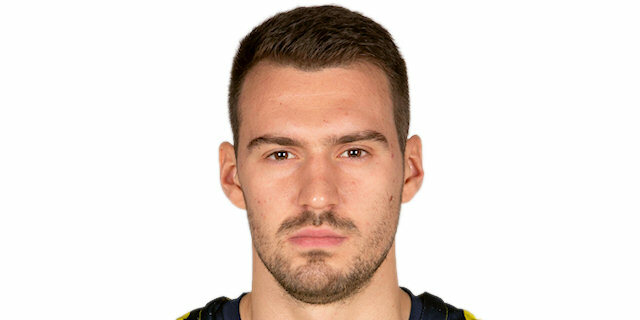 Marko Guduric added 15 while Nikola Kalinic and Luigi Datome each had 10 for Fenerbahce. Will Clyburn led CSKA with 17 points. Cory Higgins added 12, Sergio Rodriguez and Othello Hunter each had 11, while Daniel Hackett got 10 for the guests. Back-to-back three-pointers by Hackett and Nando De Colo gave CSKA an early 0-6 lead. Kostas Sloukas and Vesely stepped up for Fenerbahce but an outstanding Hackett boosted the guests' margin to 6-13. Alec Peters and Hunter each hit a jumper to make it a double-digit game, 6-17. Vesely followed free throws with a three-point play but Peters and Hunter kept CSKA way ahead, 18-26, after 10 minutes. Guduric and Melli tried to change things for Fenerbahce early in the second quarter but Clyburn and Higgins combined for 7 quick points for a 22-33 CSKA lead. The guests kept dominating the game with their efficient offense, as layups by Hines and Clyburn made it 27-41. Kalinic scored down low and Vesely dunked to give the hosts hope at 31-42. Clyburn scored twice in the paint and Hackett added a jumper to make Fenerbahce stop the game with a timeout at 33-48. Guduric beat the halftime buzzer with a corner triple, fixing the halftime score at 36-48. Luigi Datome buried back-to-back jumpers after the break and a dunk by Vesely ignited the crowd at 42-48. Melli followed a reverse layup with a three-point play and a three-pointer by Guduric completed the hosts' comeback, 50-48. Vesely scored down low to cap a 19-0 Fenerbahce run that bridged both halves. Rodriguez rescued CSKA with consecutive layups and a three-pointer to restore a 54-55 edge. Guduric answered from downtown, Ali Muhammed added a floater but Higgins and Clyburn each struck from downtown for a 60-62 CSKA advantage after 30 minutes. Hunter and Clyburn stepped up to make it 60-67 early in the fourth quarter. Muhammed sank a step-back triple, Rodriguez and Kalinic exchanged baskets, and a catch-and-shoot three-pointer by Higgins gave CSKA a 65-72 lead. A big basket by Datome and free throws by Sloukas brought Fenerbahce within 73-74 with 2:35 left. Higgins split foul shots and a jumper by Datome tied it at 75-75. Hunter missed down low and a layup by Vesely put Fenerbahce in charge, 77-75, with 59 seconds to go. Peters picked up a critical turnover and CSKA fouled on Sloukas with 10.7 seconds left. He hit both attempts, allowing Fenerbahce to start celebrating. Guduric was the x-factor for Fenerbahce, stepping up in one of the most difficult games of the season. He finished the game with 15 points on 3-of-3 triples, 3 rebounds, 4 assists, 4 steal and a block for a PIR of 18. A true all-around performance! Fenerbahce trailed 33-48 near halftime but kept CSKA scoreless for more than 7 minutes. Meanwhile, Guduric, Vesely and an unstoppable Datome fueled a mamooth 19-0 run that not only brought Fenerbahce back into the game, but gave the hosts a 52-48 lead. Fenerbahce wouldn't have won the game without those 7 minutes of total basketball. CSKA finished the game with just 1 offensive rebound. That tied the worst total in the EuroLeague in club history. It previously had 1 offensive rebound against Lokomotiv Kuban Krasnodar on January 3, 2014 and against Montepaschi Siena on October 31, 2007. CSKA hit 14-of-18 two-point shots (77.8%) before halftime and just 6-of-16 (37.5%) in the second half. That lower percentage, added to the lack of offensive rebounds, allowed Fenerbahce to return to the game and eventually win it. Both teams return to action on Thursday, December 20. CSKA hosts Anadolu Efes Istanbul and Fenerbahce visits Buducnost VOLI Podgorica. "The second half was a completely different picture. We needed to play more aggressive and smarter, because it was obvious that in the first half, we didn't try to do the things that we prepared. It was an absolutely different picture. Congratulations to my players. They did a great job, first of all, in the beginning of the third quarter. It was really very special. We had a problem in the beginning of the fourth quarter. It was also normal, I believe, because of the minutes some players had in the game, but at the end of the game, we got one very important victory against an excellent team. Congratulations to the players and to the fans for the incredible atmosphere. We have a new practice tomorrow and a trip to Podgorica. I think that, at the end of the day, we won the game because of our offensive rebounds. This is good. We discussed about this and knew how important it was. I believe that in the end, we had 13 more possessions than CSKA. In basketball, this is a really big number. However, I believe that what we changed in the second half is the wish, which was obvious, to play in a different way and fight for every ball." "I really want to congratulate my players for the way we came back into the game, and thank our people for their incredible support tonight. 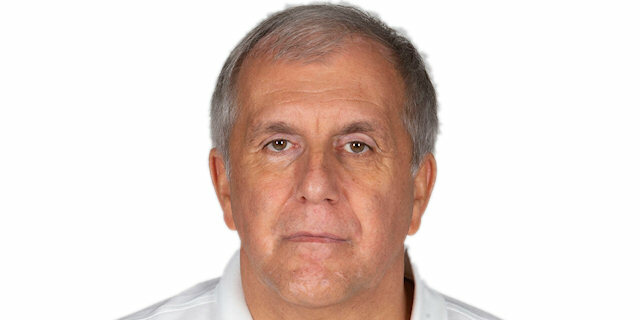 I also want to congratulate CSKA because they played really good basketball in the first half, especially. We talked about them being a team with a lot of character and they showed it today. Obviously, we played two different halves. In the first half, we didn't have any kind of positive reaction and everything changed after halftime. We started to fight for every ball and played smarter in the third quarter, and we changed the game. The beginning of the last quarter was also a critical moment for us but again, we found the way to come back and played well in the final minutes, even when it is true that CSKA had the possibility to win the game. At the end of the day, everything was different in the second half. We woke up our people and finally won the game so congratulations one more time to everybody – players and fans. We have to continue this way." "Congratulations to Fener. It was a very interesting game, obviously. Both teams had one half to be dominant, us in the first, them in the second. Definitely, the third quarter hurt us a lot. They outhustled us on offensive rebounds, contacts, turnovers and not being composed at the right moment. Although, despite being scoreless more 6 and a half minutes, we found the way to get back the lead, plus 5, even plus 7, if I am not mistaken. We found a way again to keep it there where we wanted to. The game could have gone either way in the last moments. Obviously, in the last possession we wanted to foul because of the shot clock. We had missed an open look, two layups and had a turnover. But like I said, I will stay on this key of outhustling, rebounding... the difference is huge. They had 9 offensive rebounds, under our basket, in the second half, with us having 8 defensive rebounds. They had more rebounds under our basket than us. Once again, congratulations to them." "It was pretty intense in the locker room. We talked at halftime about playing better defense. We did it, and that allowed us to win the game. We were prepared. We knew that they went for offensive rebounds like crazy, and we stopped them. They were scoring a lot of baskets, there were many possibilities to get offensive rebounds, but we stopped their offense in the second half and that was the key. It is important to win games at home. We did it today and I am happy we secured the first spot, but the season is not over. It is a long time until the end and we have to be focused even more now." "We didn't open the game in a good way. They scored a lot of easy shots, their percentage was really high, but we were able to play later with more toughness and better energy. We protected our home court. It is very important to win but as we all know, this is just beginning. The most important games are coming, but anyway, it is a good win. Lately, we were giving a lot of offensive rebounds to our opponents and we prepared the game that way. We did a good job. We were prepared for that."